All healing sessions are done either at your home or at my home in Valencia. A private healing session with Terren combines multiple healing modalities in order to most effectively address each individual’s healing needs. Working to address the energy in the physical body as well as the subtle energetic body, Terren uses Reiki, crystals, essential oils, yoga, Pranayama (breath work), and meditation to help remove energetic blocks and speed up the process of growth, healing, and well-being. The goal in our work together is to create an overall state of harmony so that you can live your life with more ease a sense of inner peace. Reiki is a healing modality where Universal Life Force Energy is shared through hands-on treatment. 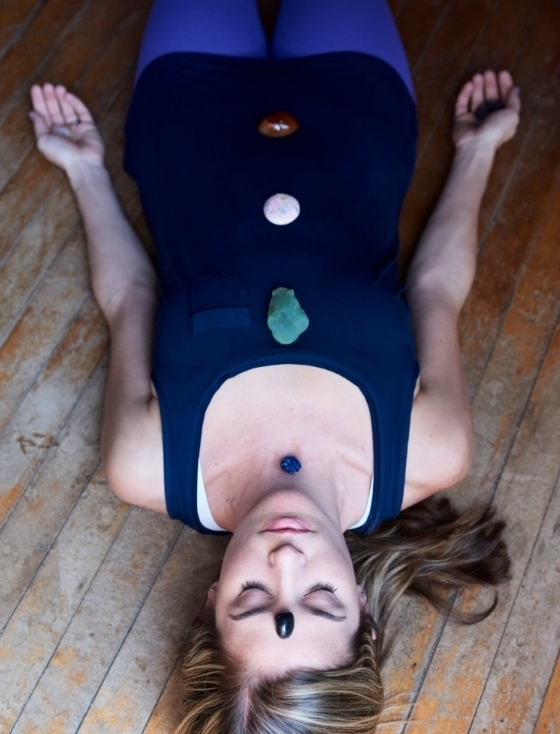 Crystal healing utilizes the unique metaphysical vibrational properties of gemstones and crystals by laying them on and/or around the body to amplify their healing properties and clear out energetic blockages within your subtle body system. Combining Reiki and crystals will boost your ability to down-regulate your nervous system into a Parasympathetic state or rest and repair. This is when you will experience greater peace, harmony, and deeper (cellular level) healing. Essential oils work on many different levels of healing, from physical pains to mental unrest, and we will address & use these as needed. With over 10 years of experience in teaching Yoga, Pranayama, and Meditation Terren will utilize these powerful modalities in the longer 90-minute healing sessions.